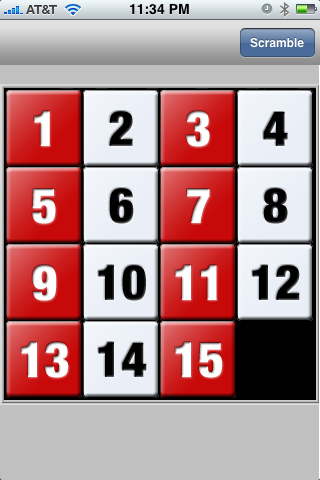 When you open up 15, you will see 15 tiles numbered 1-15. The board will jumble itself up (40 times!) and your job is to get it back in order. Here’s where the twist comes in – you don’t drag the pieces, you tilt your iPhone and let gravity do the work for you!